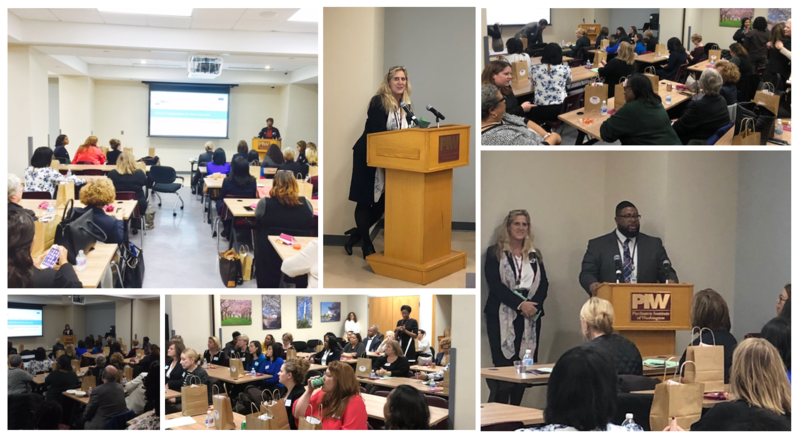 The DCHA Chief Nursing Officer Committee hosted a launch party on Jan. 24 at the Psychiatric Institute of Washington to celebrate the reinstatement of the D.C. Chapter of the American Organization of Nurse Executives (ONE|DC). More than 60 nurse leaders attended the launch of ONE|DC for a night of celebration and professional networking. The vision of ONE|DC is to shape the future of nursing and health care for the District of Columbia through innovative leadership, evidence-based practice and education. ONE|DC will consist of nurse leaders and nurses aspiring to be leaders from all care settings. This includes, but not limited to, nurse executives, administrators, nurse managers, nurse educators, nurse quality managers, nursing staff leaders and researchers from across the District of Columbia. With the endorsement of DCHA, at the local level ONE|DC will serve as a self-governing community that will provide a platform for nurse leaders from both the clinical and academic setting to be able to network, share best-practices, and leverage collaboration efforts around safety, quality and the advancement of nursing practice within and around the District.